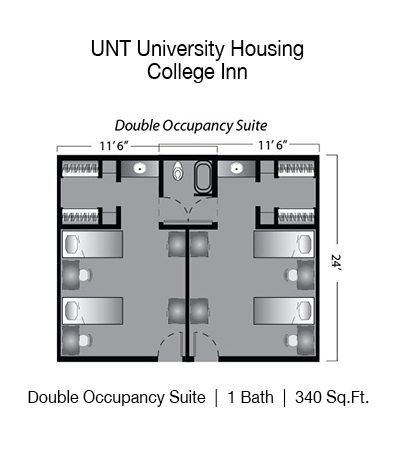 college Inn is located off Ave. D on the northwest corner of campus, College Inn is an “economy hall” that provides an option for year-round housing to upperclassmen and graduate students. 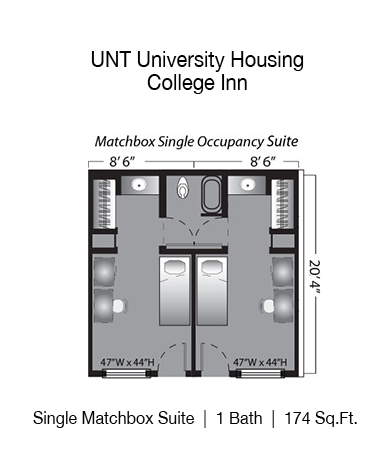 College Inn offers a variety of lifestyle options for residents, including double rooms, “matchbox” singles, efficiency-style rooms and one-bedroom graduate apartments. 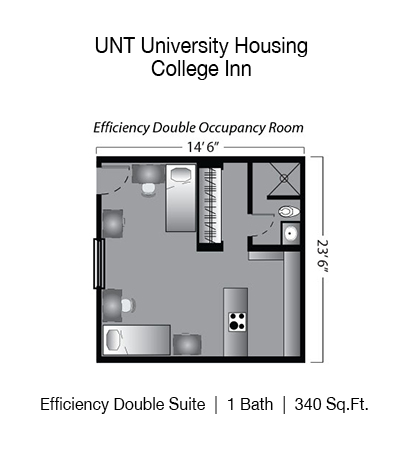 The “efficiency” rooms offer a small kitchenette are that has space for appliances. 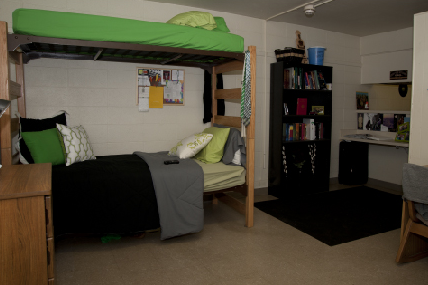 The graduate apartments are fully furnished one-bedrooms with a full kitchen and private bathroom. DCTA Connect 7 Bus Stops are located on Hickory St.